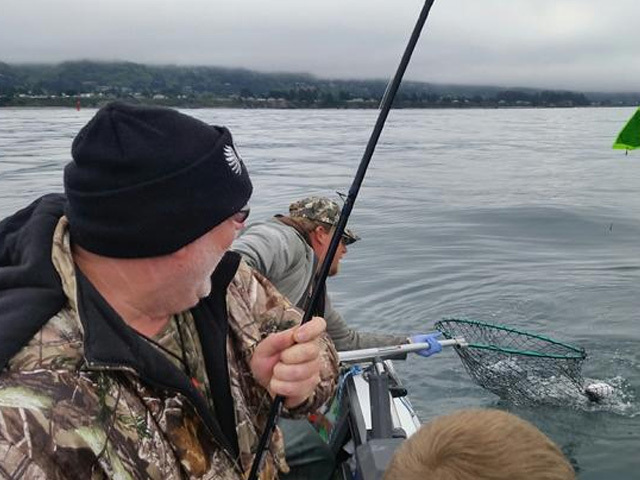 Little is more exciting that catching ocean-fresh, hard-fighting king salmon off the Oregon Coast. Aside from being excellent table fare, salmon are among the hardest-fighting sport fish. 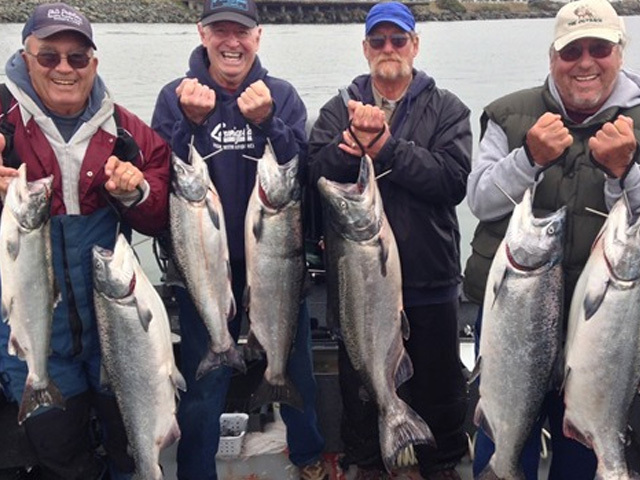 Chinook, or king salmon, which are often abundant off the coast of Brookings, are especially prized, and the primary target of Brookings Fishing Charters’ salmon fishing charters. The Port of Brookings often has the highest salmon catch rate on the entire Oregon coast, and produces many of the biggest salmon caught outside of Alaska. Some seasons, more king salmon are caught out of Brookings than the rest of the Oregon Coast combined. 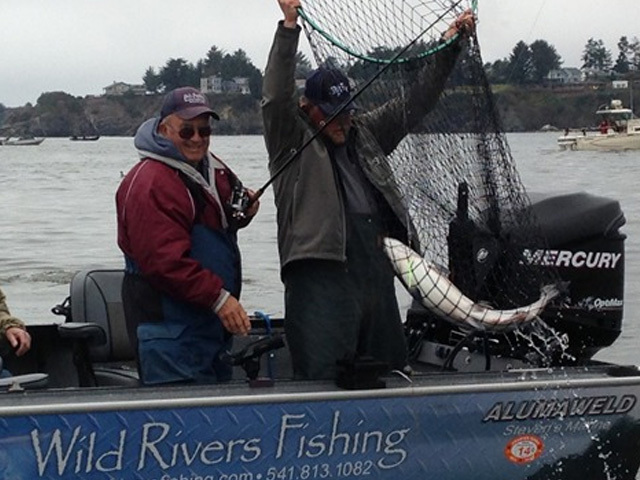 Typically the ocean salmon season out of Brookings runs early May through Labor Day. 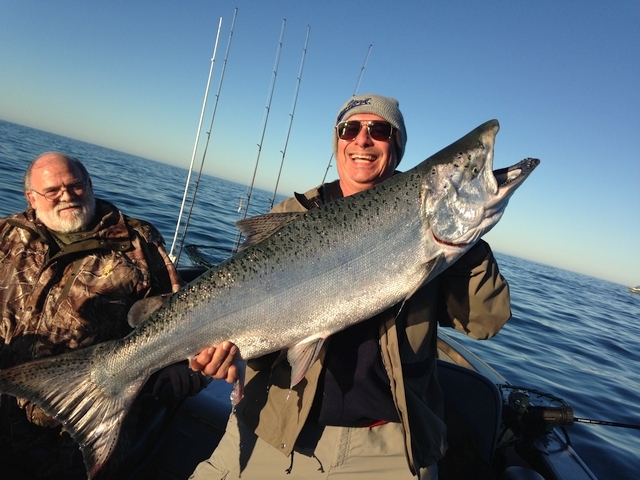 The season re-opens in October for two weeks for the trophy season at the mouth of the Chetco. 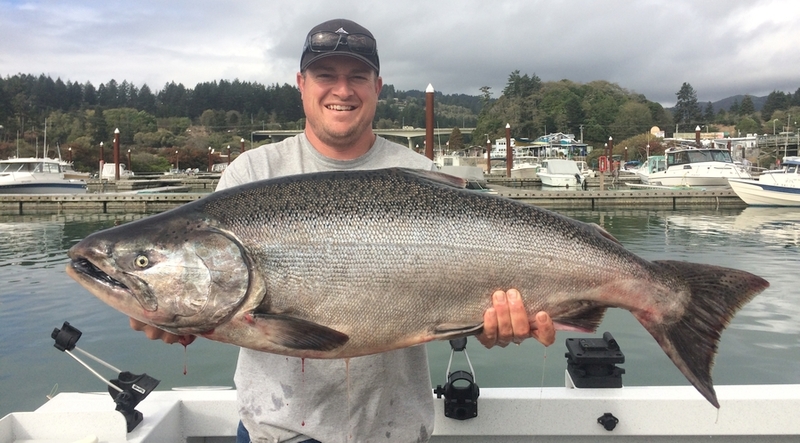 During the summer, large numbers of kings salmon from the Sacramento, Klamath, Rogue, Umpqua, Chetco and Smith rivers stage off of the Southern Oregon Coast, making Brookings the ideal location to target them. The fishing out of Brookings can rival that found in Alaska and British Columbia, and the water is often much calmer. Each year, salmon over 50 pounds are caught out of the Port of Brookings. Fish average 15 to 20 pounds. 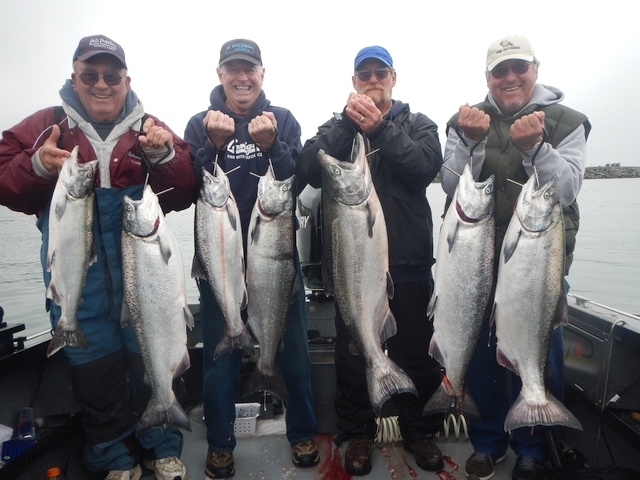 Salmon charters with Brookings Fishing Charters are 6-hour trips. We use electric downriggers and divers to effectively fish for king salmon at all depths. The salmon are often caught trolling plug-cut herring or anchovies, but they also can be caught mooching small baitfish. Capt. 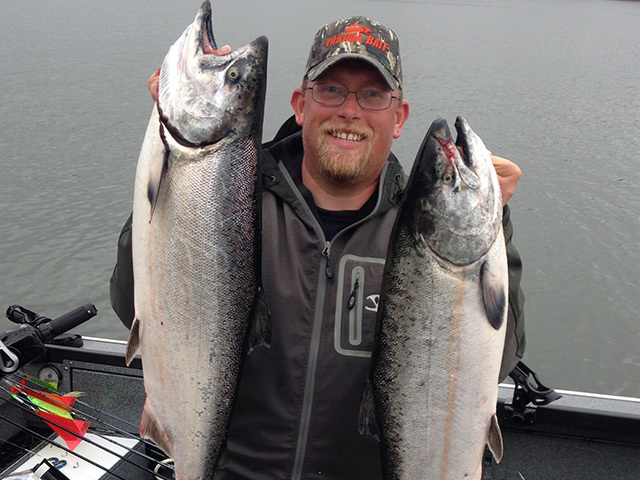 Andy Martin has earned a reputation as one of the best salmon fishing guides in all of Oregon, and has a high success rate of getting customers into large kings. 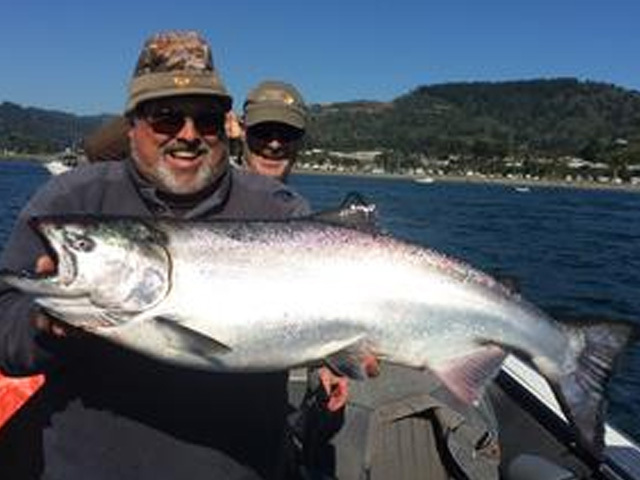 In fact, he has guided anglers to more than a dozen kings over 50 pounds in Oregon, including a 58 pounder at the mouth of the Chetco and the Chetco River record 65-pounder during the fall drift boat fishery. Capt. 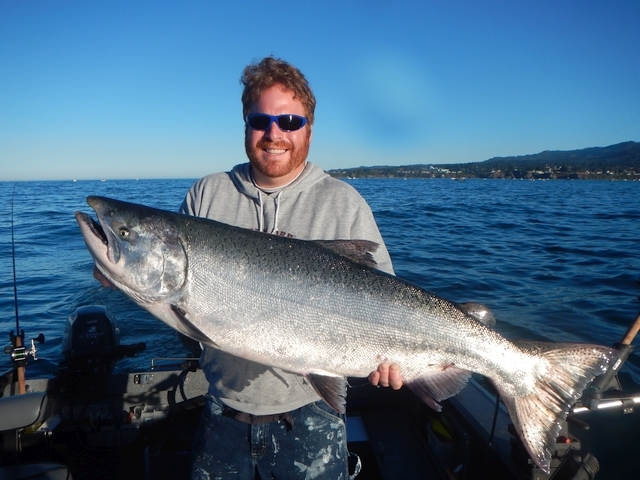 Andy has guided anglers for salmon throughout Oregon and Alaska, and is one of the most experienced ocean salmon fishing guides and charter captains on the Southern Oregon Coast. He learned at an early age how to spin an anchovy or herring for salmon, and has a knack for locating schools of fish. Andy is a year-round, full-time charter captain and guide, and takes pride in successfully getting his customers into big fish and steady action. Brookings Fishing Charters fishes up to six anglers at a time. With a custom boat specifically designed for ocean charters, anglers use the latest high-quality rods and reels, and enjoy a hands-on fishing experience. 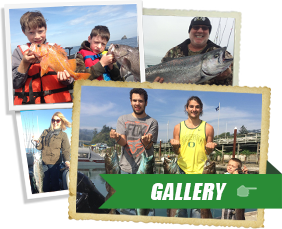 We also offer combination trips where anglers fish for salmon, lingcod and rockfish during the same charter, as well as check crab pots on the way in. 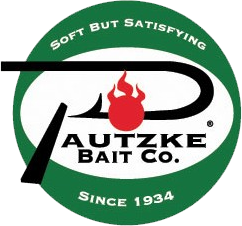 Price: $175 a person, includes all bait and tackle, and filleting of your catch. 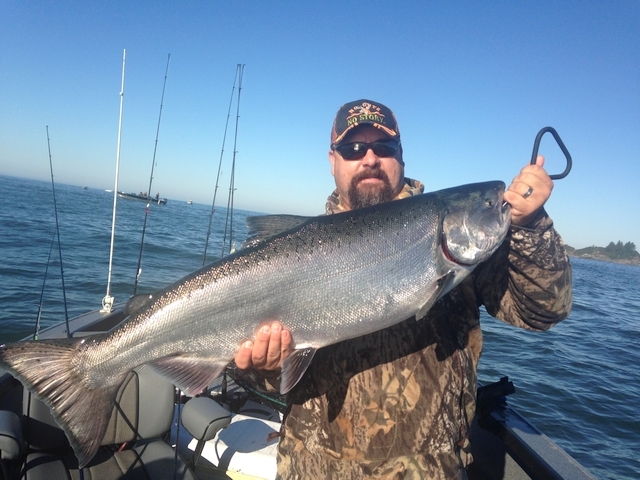 Our special ocean salmon season in October at the mouth of the Chetco River is $200 a person. This is our most popular salmon season of the year because of the potential to catch a trophy-size fish and often books well in advance. 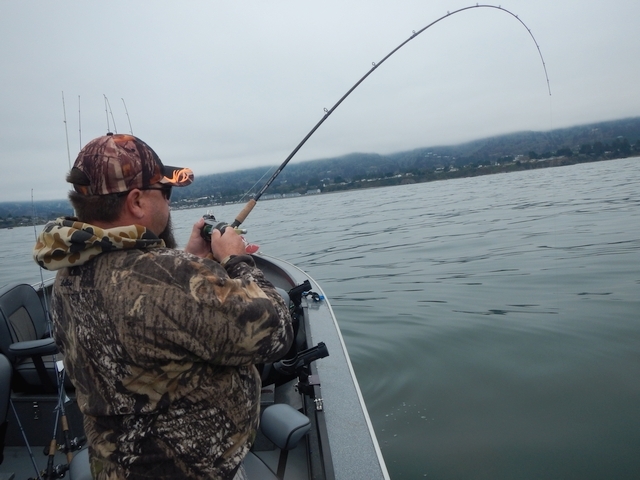 Kings average 12 to 18 pounds out of Brookings, but fish over 50 pounds are caught each season. 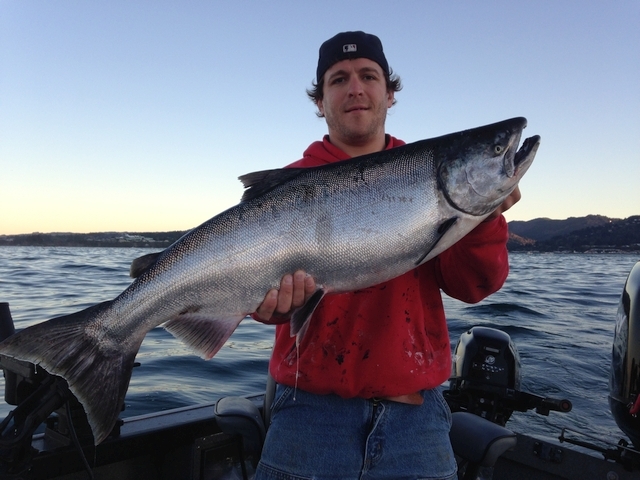 Also known as silvers, coho are abundant in the mid-summer months. They can be quite abundant off of Brookings and average 8 to 10 pounds. 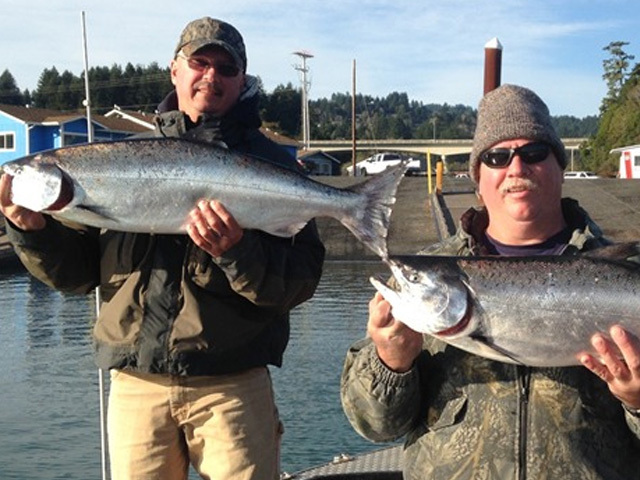 The ocean salmon season out of Brookings runs May 28-Aug. 7 and Sept. 3-5. Fishing is open seven days a week with a two-fish-per-day limit. Wild or hatchery kings may be kept. Kings must be at least 24 inches. Hatchery coho may be kept June 25-Aug. 7, or until the 26,000-fish quota is filled.